Dogs are the oldest and most intimate and loyal friend of humanity. 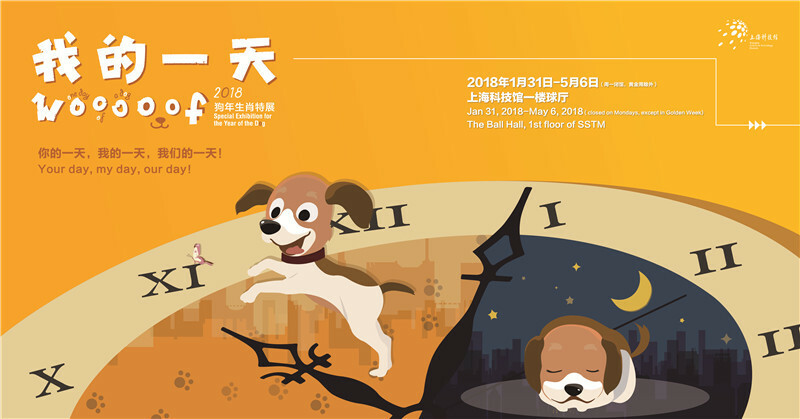 The “My Day” Special Exhibition for the Year of the Dog is open to the public at SSTM from January 31 to May 6, 2018. Centering on dogs and adopting first-person narrative, this exhibition presents themes including Origin & Domestication, Functions & Features, and Behaviors & Emotions of domesticated dogs in familiar real-life scenarios. The exhibition presents a spectacular dog carnival for the audience with exhibits including eight beautiful canine specimens, five groups of varying interactive games, four lively short videos, AR interaction and VR dog training experience. 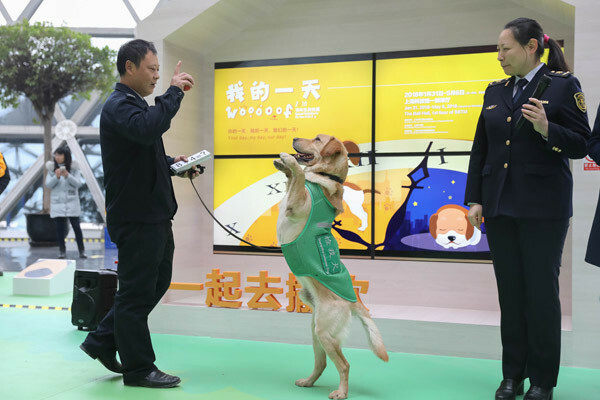 At the opening ceremony, two quarantine dogs from Shanghai Entry-Exit Inspection and Quarantine Bureau staged a wonderful performance for visitors. More than 500 pieces of work themed “Dogs and Me” created by the audience in the form of photo, painting, video, calligraphy, among others, are included in the “Our Stories” magic wall display. The exhibition has also offered educational activities for children, including “Art Workshop” which teaches visitors to fold life-like little dogs, “Inquiry” which unveils the world in the eyes of dogs, “Small Lego Maker” which enables children to play Lego while listening to stories, and “Hands-on DIY”, a parent-child activity for better understanding of various lovely dogs.